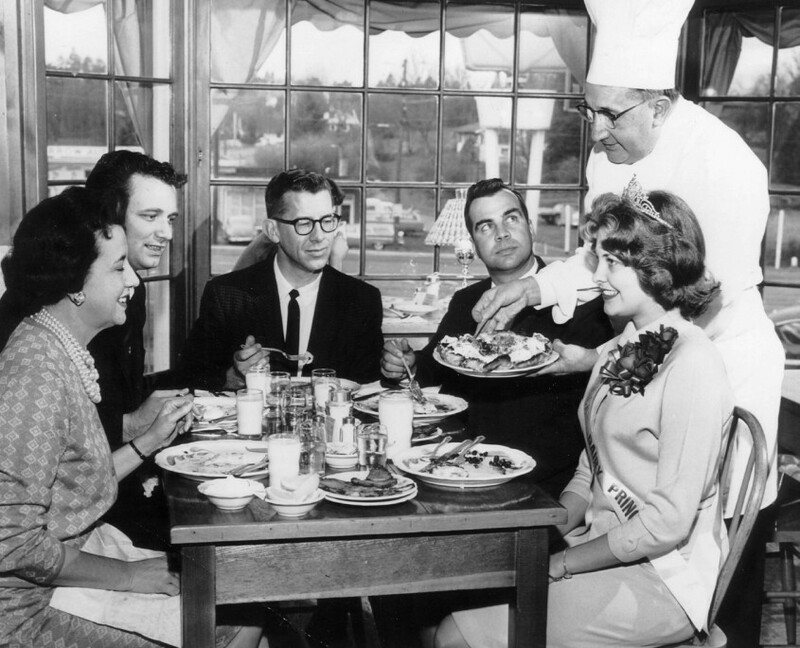 The Original Pancake House was founded in Portland, Oregon, in 1953 by Les Highet and Erma Hueneke. They developed a menu based on authentic recipes, some handed down from generation to generation. This menu has won acclaim all around the country for both presentation and preparation. Our batters are all carefully prepped and blended by hand, with only the finest ingredients, exactly as they were always intended. Our orange and grapefruit juice is squeezed fresh daily. All of our berries are the best available; including the lingonberries, which are imported from Sweden. Our delicious syrups include maple, blueberry, strawberry, mixed berry, apple cinnamon, and tropical- all created daily in our kitchen. Old fashioned sugar-cured bacon, hickory smoked ham, and pork and chicken sausages are all sourced locally from Jones Farm in Wisconsin. Our coffee is blended just for our own use, developed to complement your meal. The highest quality 93 score butter is used in our batters and for cooking. Pure heavy whipping cream is used in our batters and whipped cream. Only the most farm fresh extra large white Grade AA eggs are used. We use unbleached, hard-wheat flour. To learn about current employment opportunities please fill out the employment form.